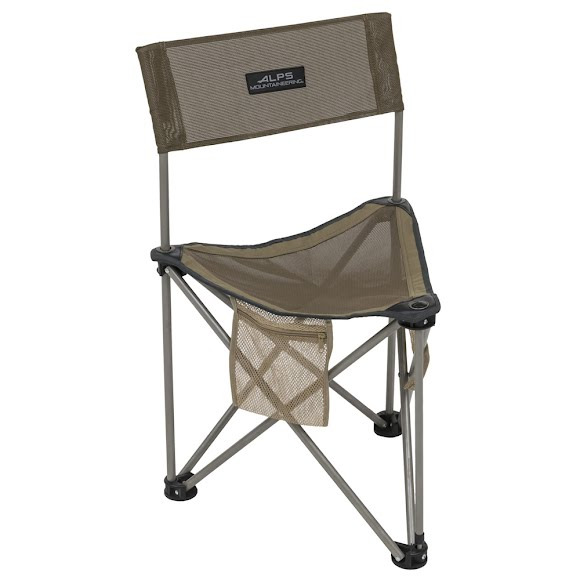 When space is limited, but comfort is a must, you're going to want ALPS Mountaineering's Grand Rapids chair. While stools are nice, the Grand Rapids is similar to a stool, but with an angled back for maximum comfort, but still compacts and fits into a small carry bag so you can easily travel with it. It has an extra-wide seat and 300 pound capacity so you can sit in comfort. When space is limited, but comfort is a must, you&apos;re going to want ALPS Mountaineering &apos;s Grand Rapids chair. While stools are nice, the Grand Rapids is similar to a stool, but with an angled back for maximum comfort, but still compacts and fits into a small carry bag so you can easily travel with it. It has an extra-wide seat and 300 pound capacity so you can sit in comfort. The Grand Rapids is lightweight and made of durable mesh so if it gets wet, it dries quickly and also allows air flow on hot days.